The Suffering of Light is the first comprehensive monograph charting the career of acclaimed American photographer Alex Webb. Gathering some of his most iconic images, many of which were taken in the far corners of the earth, this exquisite book brings a fresh perspective to his extensive catalog. Recognized as a pioneer of American color photography since the 1970s, Webb has consistently created photographs characterized by intense color and light. His work, with its richly layered and complex composition, touches on multiple genres, including street photography, photojournalism, and fine art, but as Webb claims, "to me it all is photography. You have to go out and explore the world with a camera." Webb's ability to distill gesture, color and contrasting cultural tensions into single, beguiling frames results in evocative images that convey a sense of enigma, irony and humor. Featuring key works alongside previously unpublished photographs, The Suffering of Light provides the most thorough examination to date of this modern master's prolific, 30-year career. 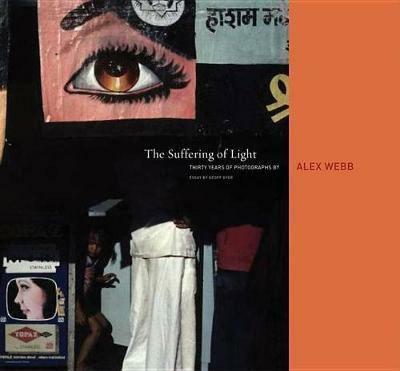 The photographs of Alex Webb (born 1952) have appeared in a wide range of publications, including The New York Times Magazine, Life, Stern and National Geographic, and have been exhibited at the International Center of Photography, New York; Walker Art Center, Minneapolis; and the Whitney Museum of American Art, New York. He is a recipient of the Leica Medal of Excellence (2000) and the Premio Internacional de Fotografia Alcobendas (2009). A member of Magnum Photos since 1976, Webb lives in New York City. A 30-year retrospective of a great, and often overlooked, American pioneer of colour photography who pays scant regard to genre boundaries, merging art photography, photojournalism and often complex street photographs.--Sean O'Hagan "The Guardian "